We at Uflex, attribute our substantial growth to the commitment & competencies of our people. With the motto of ‘Learn, Engage & Develop’ we focus on providing development opportunities & career growth path to our people with a holistic framework of functional, behavioral, general management & leadership development programs. In an endeavor to bring the best out of every member of the organization, we continuously partner with top of the line training agencies, institutes & industry bodies and invest in continual learning & development of our people. 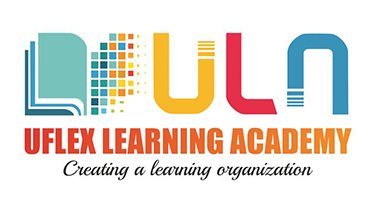 At Uflex, our learning vision is to create a learning culture in the organization. Learning in Uflex is a combination of on-the-job experiences, relationship based and education based opportunities and we encourage our people to leverage the opportunities. In addition to that we have training interventions designed for different levels like Operators, Junior Management, Middle Management, Senior Management and Top Leadership and categories of employees like Production, Marketing, and Finance etc. We support the specific business requirements across divisions like operational Excellence, Sales and Marketing Excellence, Business Focused Team Alignment Interventions, Goal Setting Workshops etc. Get networking with Team HR at Uflex !! !